“The Old New Year ( Russian: Старый Новый год, Ukranian: Старий Новий рік, Macedonian: Стара Нова година) or the Orthodox New Year (Serbian: Православна Нова година or Pravoslavna Nova godina) is an informal traditional Slavic Orthodox holiday, celebrated as the start of the New Year by the Julian calendar. In the 20th and 21st centuries, the Old New Year falls on January 13/14. While the world is back at work since early January, Russian New Year holidays are still under way until the Russian Old New Year, celebrated in the night from January 13th to January 14th. Though Soviet Russia has officially followed the Gregorian calendar as far back as 1918, the Russian Orthodox Church continues using the Julian calendar, which lags 13 days behind. 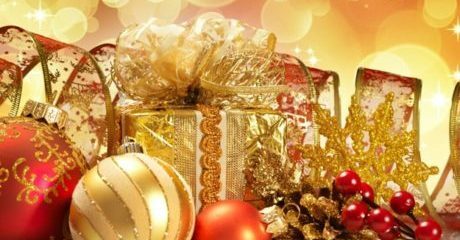 Since Soviet Union times, when celebrating Christmas was discouraged, the New Year became a holiday most loved by the people and is always celebrated twice. After the collapse of the communist empire, the Orthodox Christmas, falling on January 7th, has returned to favor, making the first part of January in Russia a non-ending vacations. But for new Russian elite, consisting of politicians, celebrities and oligarchs, the winter holidays give a good chance to spend extra money at the best world resorts. Traditionally, the new Russians prefer French fashionable ski resort of Courchevel, Cote d’Azur and Paris, where luxury hotels are busy adjusting prestigious Russian-themed parties with a special menu of beef Stroganoff, caviar, blinis and vodka to mark the Russian Old New Year. Anyway, the Old New Year parties put a stop in long Russian winter celebrations. Due to time zones, the Russian New Year’s arrival is celebrated nine times in this world’s largest country, starting from Russian Far East and finishing in Baltic Kaliningrad.